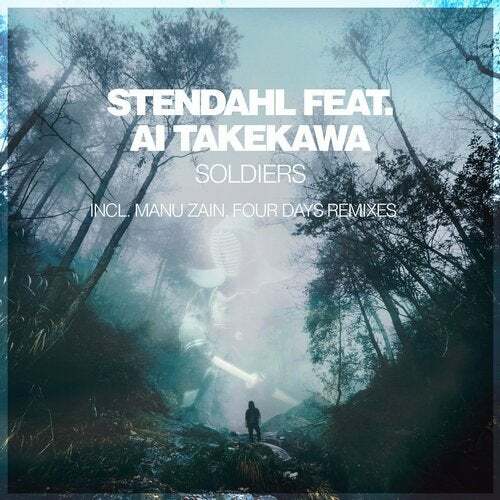 Stendahl (Russia) and Ai Takekawa (Japan) team up on "Soldiers," an emotive and unique chillout tune. On remix detail, we have Dutch producers Manu Zain and Four Days, delivering downtempo and progressive house remixes, respectively. The Original Mix takes off on a blissful note, courtesy of intriguing piano strokes and captivating sound effects. Ai's mesmerizing vocals soon enter the mix, while subtle percussion elements build underneath; the chorus proves to be a stunning aural experience when Ai's vocals shine atop the soothing soundscape. Dutch label veteran Manu Zain provides a delicious remix, which begins with delightful background arpeggios and subtle sound effects. A rather well-structured array of percussion layers provides additional texture, as the song progresses. Four Days delivers a strong progressive house remix, taking off with a haunting atmosphere, featuring captivating synth stabs and intriguing chord variations. The level of detail is incredibly high in this one, rendering it an enjoyable and truly extraordinary listening experience.